Home Celebrities Paul Teutul Sr – Biography, Net Worth, Wife, Age, Is He Dead? How well do you know Paul Teutul Sr? The New York native is famous for being a reality TV personality and the founder of Orange County Choppers – a company that manufactures custom motorcycles. Paul Teutul has also appeared on numerous shows and has played small roles in movies as well. Moreso, his physical appearance has also distinguished him over the years as his handlebar mustache and numerous body tattoos have been imprinted in peoples mind. Learn facts of Paul Teutul Sr’s bio, net worth, wives and whether he is dead or alive as you read on. Paul Teutul Sr was born on the 1st of May, 1949, in Yonkers, New York, United States. After the death of his birth mother, he was raised by his father and stepmother in Pearl River, New York, the U.S. The reality TV star has said he sees his stepmother as his real mother because she loved him dearly as though she was his birth mother. 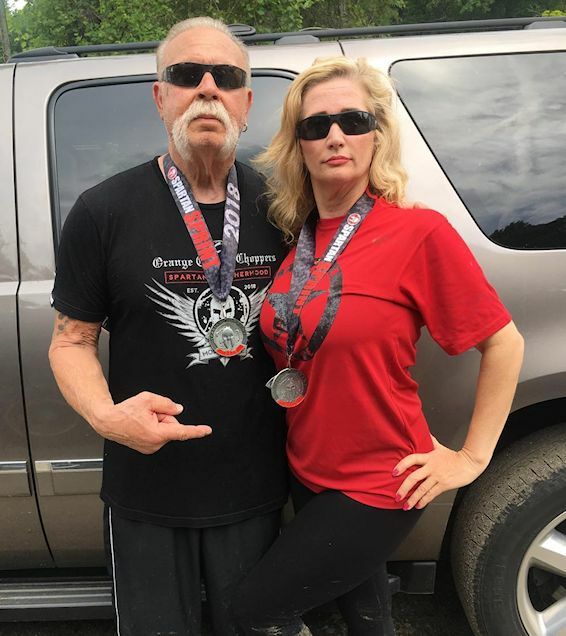 There is no confirmed information on Paul Teutul Sr’s education, however, it was gathered that he completed his High School education in Pearl River High School. Later, he sailed as a member of the Merchant Marines of the United States during the Vietnam War. In the late 1990s, Teutul started creating custom bikes for pleasure, this was inspired by various custom motorbikes he saw on the streets and in movies. His passion led him to venture into the full-time business of manufacturing and designing custom motorcycles for sales which give birth to his company – Orange County Choppers. Prior to that, he owned a fabricating shop named Orange County Ironwork. Paul Teutul Sr, however, came to limelight by starring in the popular television series – American Choppers, which commenced in 2003. He starred in this show alongside his son, Paul Teutul Jnr and the series had them as its main focus as they go about their daily business of manufacturing and designing custom motorcycles for sales. Although the show immensely contributed to the growth of their business, it was not a rosy ride all through. During the 2008 season, the show featured the father and son having constant arguments and contradictions on business and creativity which led to Paul Jnr’s termination in the company. Paul Jnr consequently started his own designing company known as Paul Jr. Designs. Irrespective of the split, the original series is still being aired on Discovery Channel. Aside from the American Choppers reality tv show, Paul Teutul Sr has made appearances on several popular TV shows such as Good Morning America, The David Letterman Show, Celebrity Apprentice amongst others. He also featured in Nickelback’s ‘Rockstar’ music video and he was seen in the movie Wild Dogs with his son Paul Jnr. Moreso, the TV personality was given an ASTRA Award for Favourite International Personality. The reality TV star and owner of Orange County Choppers has been married twice with both marriages ending in divorce. He tied the nuptial knot with his first wife, Paula Teutul, in 1969. However, several years later the union was dissolved and the couple went their separate ways in 1995. Paula is the mother all of Teutul’s children – Paul Teutul Jr, Daniel Teutul, Michael Teutul, and Cristin Teutul. In 2007, Paul Teutul Sr was again remarried as he exchanged marital views with Beth Dillon. Again, the marriage ended up in divorce in 2015. Presently the TV star is in a relationship with Joan Bulger-Kay and the two lovebirds are seen most times having fun rides on motorcycles and stepping in to save endangered animals. The reality TV star and founder of Orange County Choppers, Paul Teutul Sr, is said to have an impressive net worth. He is believed to have a net worth estimated to be around $15 million. His net worth is sourced mainly from his successful and well known Orange County Choppers company and proceeds from his reality television series. Is Paul Teutul Sr. Dead or Alive? 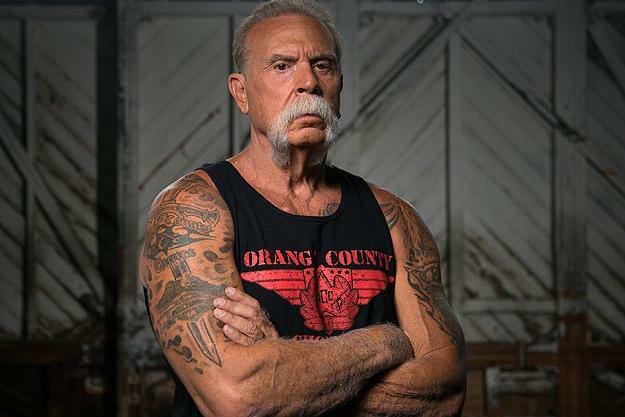 There have been rumors about the death of Paul Teutul Sr starting with the rumor of him dying in a motorcycle crash, which later turned out to be false. Later, there was another news about the reality TV star dying of Pancreatic Cancer which again turned out to be false news. As at now, a reliable source has revealed that Paul Teutul Sr is still alive but he’s currently having health challenges.